The bright sun of summer makes colors pop! From the strawberries and peppers in the garden to the shimmering waves in the pool as the kids play, the shining sun makes everything vibrant. 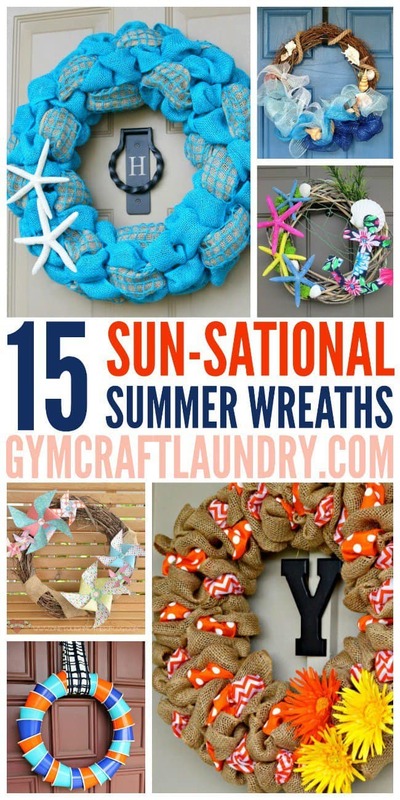 This summer, jazz up your front door with one of these creative sun-sational summer wreaths! I love the brightly colored starfish on this wreath! As you can probably tell from my love of burlap wall art, I am a sucker for burlap. I have not mastered the art of burlap wreaths. As soon as I can make one that looks like this lovely one from Kenarry, I will let you guys know. This paper pinwheel wreath is adorable! I love the scrapbook paper that she chose. This wreath is my favorite! It combines burlap, my favorite shade of blue, and white starfish. I love the simple elegance of this one. This found stick wreath from whistle and ivy for Pink When is easily made with silk flowers. This could also be made for other seasons. This wreath is made from a frame and looks fabulous. I don’t normally like the look of rectangular wreaths but this one works. This quick wreath looks much harder to make than it is. A wreath form, rope, mesh, and shells is all it takes to get this summer look. This wreath uses a pool noodle, burlap, blue ribbon, flowers, and seed packets for a distinctly summer look. Of course I had to include a yarn wrapped wreath! 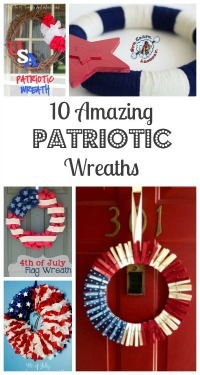 I love them and made both my Easter Wreath and my Patriotic Wreath with yarn. I love the flowers she chose for this wreath. It’s a little bit harder to tell that this one is a garden hose. 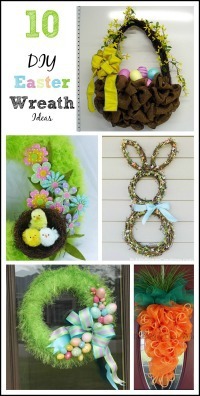 I’ve seen this wreath pinned on Pinterest many times. I love it for it’s ingenuity. Katie came up with this unique, and easy, paper cup wreath. I would never have thought paper cups would make such a beautiful wreath. This is definitely one burlap wreath I might be able to manage. I LOVE the simple look of the burlap wrapping and the faux succulents. This white wreath is CLASSY! I can’t believe how elegant and bright this wreath looks like. I would not be surprised to see this one on the door leading into a wedding reception. It’s gorgeous. Nothing says vacation like a drink umbrella! This wreath screams beach resort to me. A gorgeous wreath can really dress up your home and give you some curbside appeal. Hopefully, these beautiful summer wreaths will inspire you to try your hand at making one! 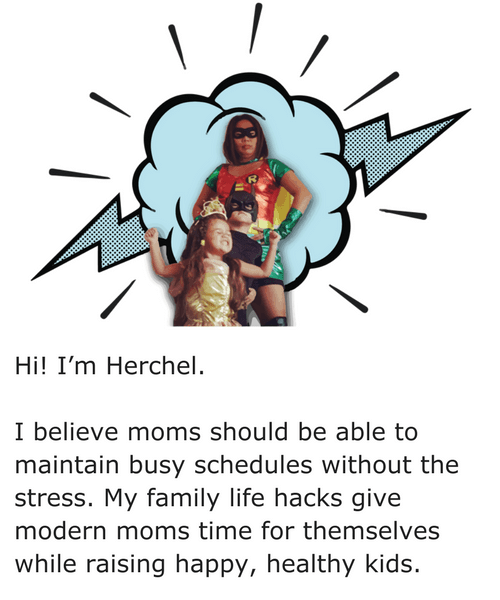 I need to make one! If it doesn’t melt on the door! I totally want to make a creative wreath for my front door. My favorite is the burlap and orange ribbon with flowers.